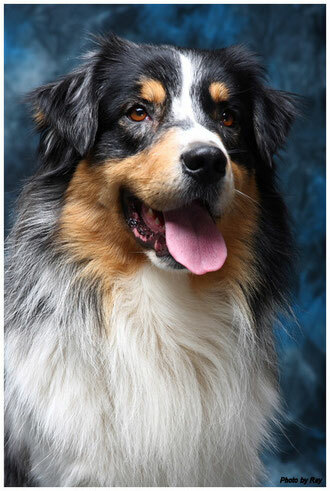 He is our first Australian Shepherd male in our crew, therefore he is the father of our second Aussie litter. On Shows, he would do very good, but he does not like to stand still and so we don't do a lot of Shows with him. On his first Show, he won the title Luxembourg Youth Champion. But on the other side, there is his talent in Agility, in his last competion, he won. He was placed under the first 3 of his classe. After a short but heavy illness we had to let him go forever.